Whether you have asphalt or concrete paving in your driveway, keeping it safe throughout the winter season will prolong its integrity and help you avoid costly repairs. There are a few key steps to ensuring you do not cause unnecessary damage when the temperatures drop. Here are a few do’s and don’ts to keep in mind. Before the snow starts, make sure your asphalt or concrete paving is free and clear of debris, including dirt, leaves, rocks, and grime. A smooth surface fares better once the ice and snow pile up. If these elements remain throughout the season, they will compact and cause damage to the surface. Also, watch for any oil stains that can also degrade paving. Another step before the snow falls is to repair cracks and potholes. Leaving damage opens up your driveway to a host of trouble, such as larger holes, buckling, and freezing and thawing damage that will lead to costly repairs or repaving. After everything is fixed, make sure sealcoating is applied to protect the area from new damage. Get out your snow gear as soon as you can to clear away winter storm accumulations. Cleaning quickly makes it easier to keep your driveway safe and clear, especially if your area gets several inches every year. Leaving precipitation for too long risks too much moisture getting into imperfections and making tiny cracks turn into large fissures. Rock salt shortens the life span of your asphalt and concrete paving. There are other options that are safer for your driveway’s surface, such as sand or cat litter. You can also choose ice melting products that are calcium-based. These are safer for your driveway and wildlife, pets, and people. 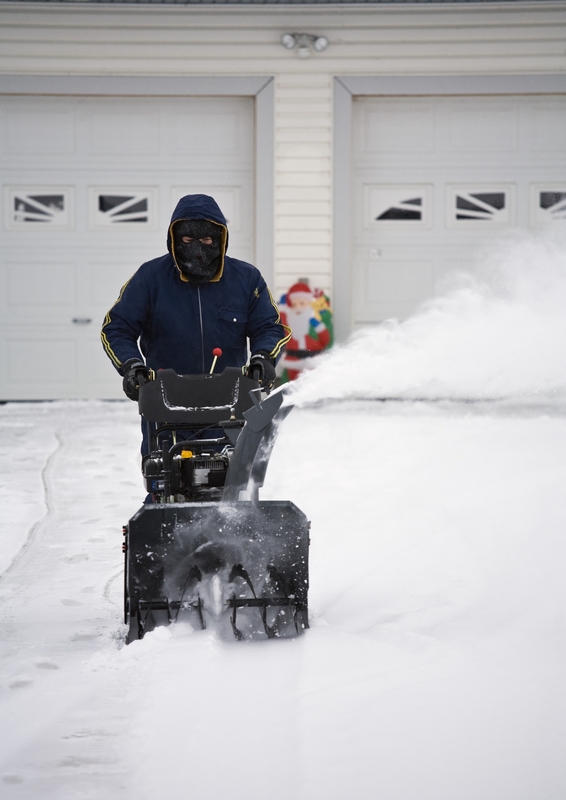 Metal is sharp and may scrape up your driveway’s surface. Choose a plastic shovel instead to clear away snow and break up ice. If you prefer a snowblower, perform annual maintenance in the fall so it is working efficiently all season. Spiked tires are great for icy, rough terrain, but they are the enemy of your driveway. Just like they dig into thick layers of snow and sleet for extra traction, they will also puncture holes into your asphalt or concrete paving, even if it is sealed. There are better snow tire options for getting through the winter that will not destroy your driveway. Located in Bluefield, WV, Lambert’s Contracting is the concrete paving professional to call when you need help preparing your driveway for winter. This general contractor offers top-notch paving services at affordable pricing as well as other work to keep your property in good shape. From excavation and expert tree service to masonry and interior remodeling, they have you covered. Call (304) 324-7972 to schedule an appointment or visit them online for their convenient contact form.